Times Tables Toons iPhone App Review: Learn Multiplication! 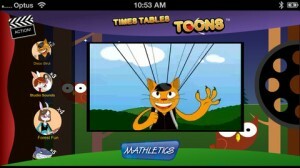 Times Tables Toons is an iPhone app developed byMathletics/3P Learning. If you have a kid who needs to learn their times tables, this educational app is a great math app that uses music to engage users. This mathematics app aims to get kids excited about learning their multiplication tables, using original songs to help make learning fun. The songs also work as a mnemonic device to help users retain information. The app is “hosted” by Max the Cat. 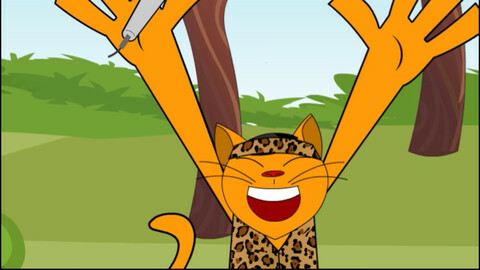 Max and his band of musical animals will lead kids in songs that will help them learn their multiplication tables while still having fun. The songs are very catchy, quite poppy in their sound. Featuring 11 original songs to teach kids the times tables from the “twos” to the “twelves,” this charming app has cute characters that will get kids exciting about singing along. They’ll be so engrossed in the songs that they’ll forget they’re learning! This app would be great for parents who want to get their gifted kids learning math ahead of the curve, or to share with kids who are falling behind in their current multiplication studies. There’s a good deal of variety into these interesting songs. There’s enough difference between the songs to make it easy to keep the various times tables straight in your head. While the interface does feel a bit cramped on the iPhone, this app remains a solid on-the-go teaching tool. For kids who aren’t exactly crazy about math, these catchy songs can help kids to learn their times tables. Best of all, it doesn’t feel like the drudgery of studying, because they get to play with your cool iPhone! 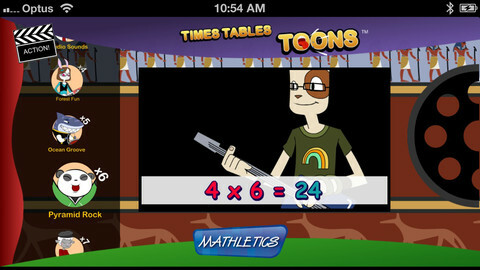 Times Tables Toonsis compatible with iPhone 3GS, iPhone 4, iPhone 4S, iPhone 5, iPod touch (3rd generation), iPod touch (4th generation), iPod touch (5th generation) and iPad. Requires iOS 6.0 or later. This app is optimized for iPhone 5.